Bored of sandwiches? 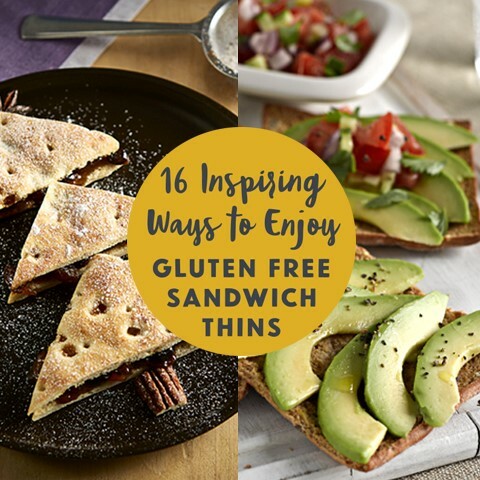 Check out these 16 inspirational ways to use Sandwich Thins, from mini pizza to mince pie. Comment at the bottom with your favourite or share your own ideas with us on Facebook, Twitter or Instagram. This cinnamon french toast with fried bananas and maple syrup is the perfect breakfast if you’ve got a sweet tooth. Find the recipe in the description or check out breakfastnbrunch's instagram for great ideas. 2. Mini Pizza’s... so you can have twice as many. Make your own mini pizza’s using our Sandwich Thins like Chloe has done here, check out her recipe for more information. 3. All I want for Christmas is a Mincemeat Thin. 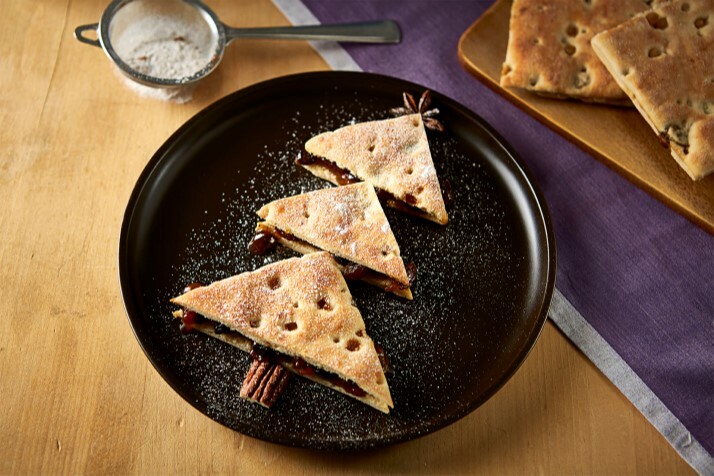 Check out our festive recipe to make Mincemeat Thins out of our Fruity Snack Thins. 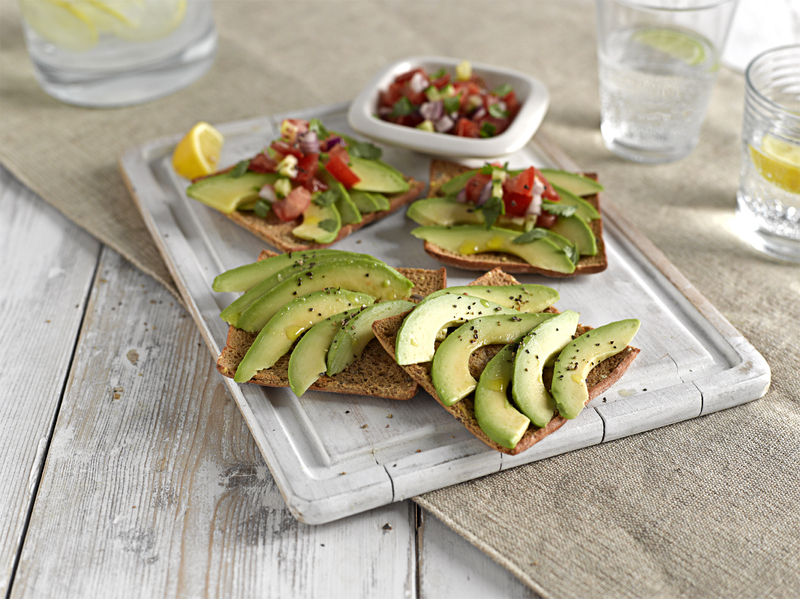 Ideal for brunch, top with avocado + egg for a top brunch time snack. 5. Avo go at this. The homemade tomato + chilli salsa is what makes this recipe extra special. Remember, you don’t always have to smash avocado. Full recipe here! 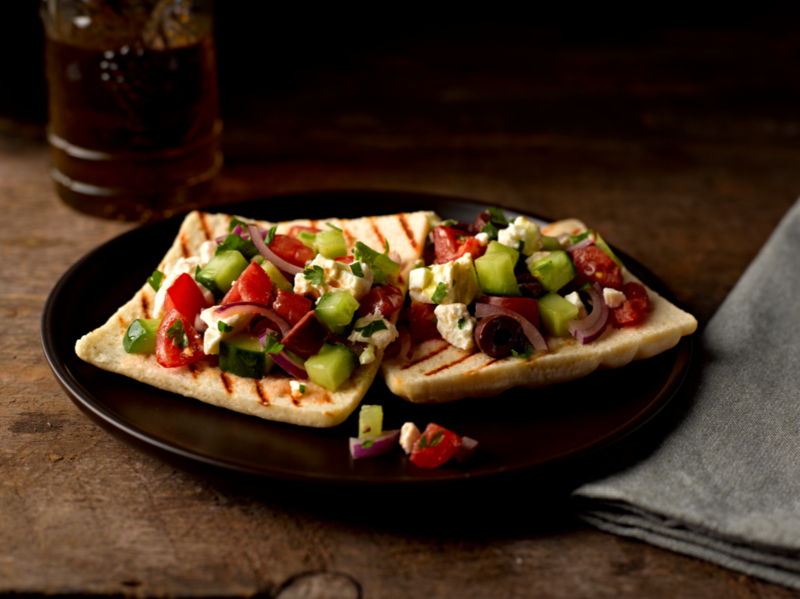 Griddle your thins and top them with a Greek style salad and feta cheese for a light lunch, find the recipe here. 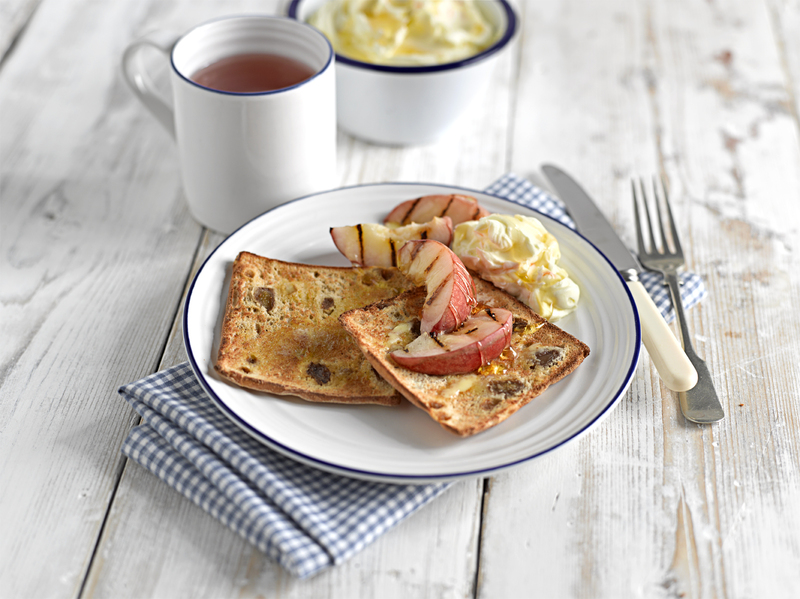 Treat yourself with this fruity thins breakfast. Toast the fruit thins and serve with apples, peaches, nectarines or pears. Remember a dollop of mascarpone on the side and drizzle with honey. We love this egg on thins serving suggestion from darlinglittlestuff. 10. Chocolate or Orange? Both. Here’s another toping suggestion from Gluten Free B. Check out her blog here. Use Debbie & Andrews Curried Chicken & Mango Chipolatas for a delightful sausage sandwich. Full recipe here. Far from your usual pizza toppings, this proscuitto, rocket, fig and red onion chutney pizza will get your taste buds going. Full recipe here. 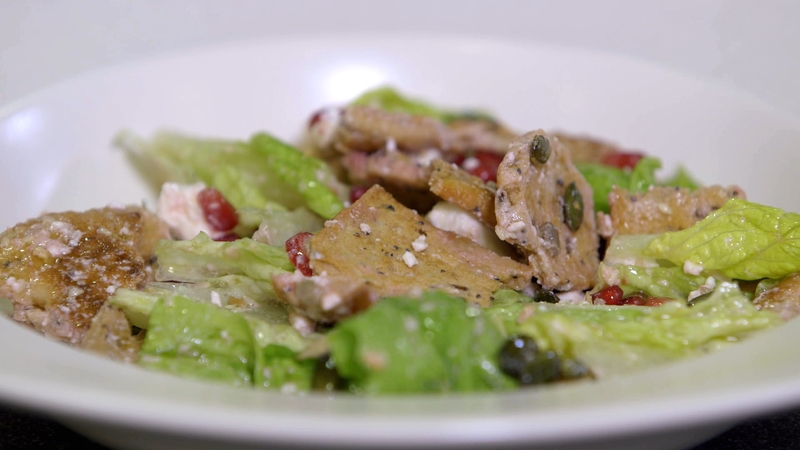 Bake off contestant, Howard Middleton, called by to share his favourite lunchtime dish; a seeded feta fattoush, made with a zesty mixture of feta cheese, radish, lettuce, mint and pomegranate. Check out the recipe here. 15. Always Time for Pizza. 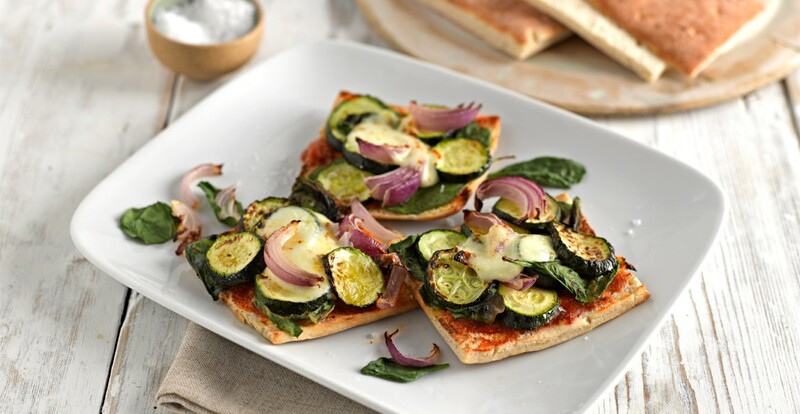 Another great pizza topping idea, try roasted courgette, red onion and spinach, add some mozzarella on top for that finishing touch! 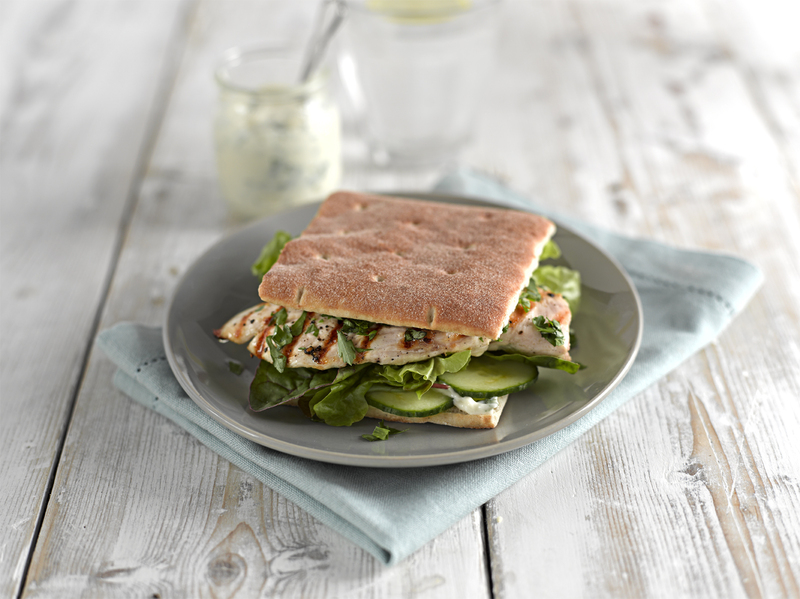 A slightly more traditional approach to finish the list, a grilled chicken sandwich! Which is your favourite? Comment below or share your own ideas!